Thermoplastic polyurethanes (TPUs) offer a variety of possibilities that meet the manufacturing challenges and performance in the general industry as well as the medical device industry. One of Medibrane’s customer is using TPUs as a shield during certain dental procedures. The manufacturing process involves heat, UV, and chemicals that may damage the properties of the TPU. Therefore, the customer requested to test its TPU film’s suitability throughout the stages of manufacturing and usage. 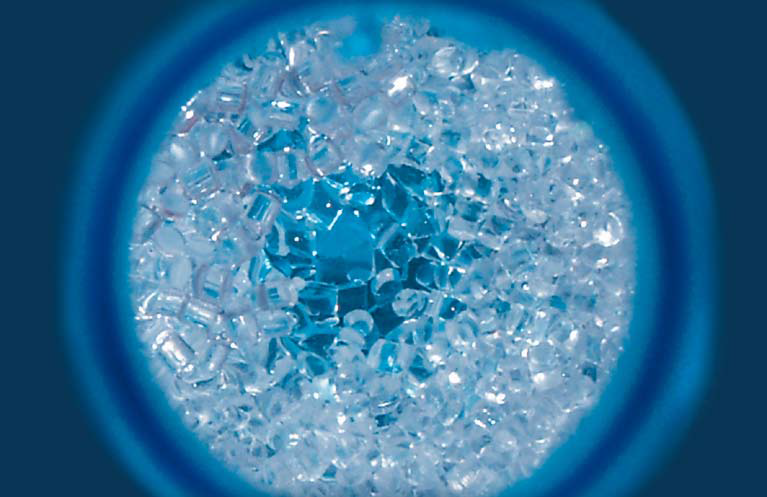 Polyurethanes range from soft and flexible made of predominantly soft domains to rigid but ductile materials made of predominantly hard domains. 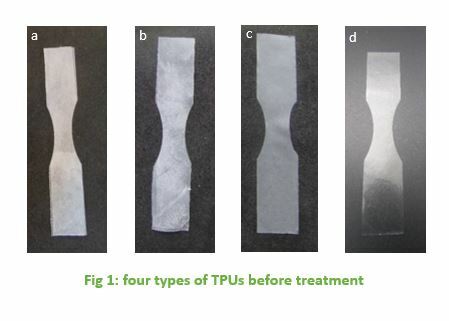 Many medical devices such as catheters and breathable films for wound care are based on TPUs because of their flexibility and strength characteristics. Although TPU is known for its high elongation and tensile strength, its elasticity, and to a certain degree for its ability to resist various chemicals, these may be damaged during manufacturing due to certain chemicals, heat, UV or their combination. Two main chemical classes of TPU exist: polyester and polyether. Polyesters are unaffected by oils and chemicals and have good mechanical properties. Polyethers have higher resistance to polar solvents compared to polyesters. TPUs can also be subdivided into aromatic and aliphatic varieties. Aromatic TPUs are based on isocyanates and can be used in applications that require flexibility, strength and toughness. Aliphatic TPUs are based on isocyanates, they are light stable and offer excellent optical clarity. Medibrane performed a resistance study for several TPUs received from the customer. The following treatments were performed: exposure to chemicals in several concentrations, exposure to a high temperature for several hours, as well as exposure to UV. The mechanical properties, including young’s modulus, maximal elongation and maximal strength were measure. Fig 1 presents the samples prior to the treatments cut as a dog bone so as to measure their mechanical properties in tensile. Table 1 present the effect of the treatments on the mechanical properties of TPU1 samples received by the client. The TPU1 film was found not suitable for the customer’s requirements owing to the drop obtained during manufacturing and service. The working temperature as well as the exposure to chemical 2 and 3 reduced the overall mechanical properties of the films. The customer had to turn to a different supplier and switch to a different type of TPU.